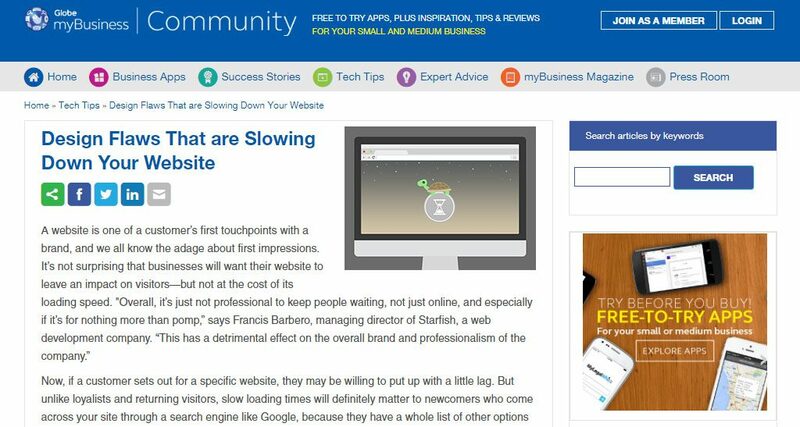 Ferdie Domingo, co-owner of Sage Designs Studio and director of design and development (now LONGHEAD DIGITAL SOLUTIONS), shared some useful tips at an article issued by Globe Telecom’s > My Business > Tech Tips > Design Flaws That are Slowing Down Your Website. Apart from being a contributor, Mr. Domingo is also a consultant at Globe Telecoms. More articles coming your way.